For those of you who read and follow my articles for The Journals, you might have been wondering where I’ve been. Other than the poll information a few months ago, I have not written an actual article since January. However, since I’ve last posted that last article, a lot of things have happened in my life. I’ve learned several valuable lessons and I have had, and will have, some great experiences very soon. Without going into great detail, my mom was diagnosed with cancer in February. At first, it was very hard to come to a realization that this was occurring, and I took the news very hard. I was especially worried because a few people in my family have had and/or died, from cancer in the past few years. I especially remembered, and had a small flashback to, the passing of my grandma (see article here: http://theoaklandjournal.com/ryan-robinson/time-and-memories/ ). I was comforted by the fact that my mom’s cancer was thankfully caught early and that she would survive. I also knew at the same time that there would be a long journey ahead. The first few weeks were rough for those in my household as there were hospital visits, doctors to see, tests to perform, and of course extensive caring, loving, and attention towards my mom. Additional responsibilities such as doing the shopping at Shoprite, walking and biking with the dog, some cooking, and those occasional local errands that mom used to do were now passed on to me. I have learned so much about what my mom contributes to the family and I am especially grateful for her and how much work and love she puts in to make our family’s lives function. While there have been ups and downs throughout the past few months regarding my mom, I am excited to say that she is doing fairly well now and she will have her last chemo treatment very shortly. 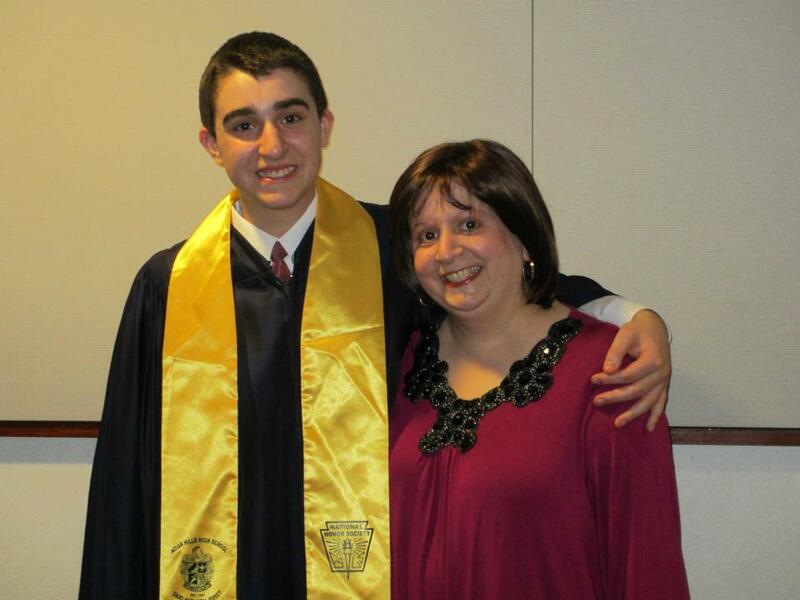 Through all of her treatments, my mom has kept a positive, lighthearted mindset which has been especially inspiring. The prayers, cards, as well as help from friends and family, have been great and your love is greatly appreciated. On a brighter note, I’ve had several very positive experiences these past few months. Since that last article, I was inducted into my school’s National Honor Society and I will be going to a program called New Jersey Boys’ State, which is run by the American Legion. I am very excited to see where both programs take me and I am very thankful that my life path and choices have taken me in this direction. Another bit of good information is that my 3 year movement and efforts to get a dog park in town might start moving forward shortly, as plans for various properties around town are being considered for general park uses. (If you haven’t already, please join the facebook page: https://www.facebook.com/pages/Dog-Park-for-Oakland-NJ/338186842893488 ) I am confident that I can work with the town and get my dream of a dog park finally accomplished after years of hard work. And hey, being a Mets fan, I can throw in that I watched Santana’s no-hitter (from home though) as that was an historic and great event for me! So enough about me and my life, how can all of this help you? In all of our lives, we face the good and the bad, the ups and downs, and the ins and outs of life. There may be times you just want to hide in the corner, do nothing, and cry. Other times, you may want to shout to the high heavens praising God for some amazing event that has occurred. But what both of these polar events have in common is that they are both a snippet of our lives that we can’t get rid of. Both positive and negative memorable events happen because it’s a part of our lives and it isn’t possible to change our experiences. I’m sure some of you can relate to my experiences and I can probably relate to some of yours, but there is one clear point: In this one Earthly life we have, we need to learn from what experiences happen during our time here and take it for what it’s worth. So while we’re all here, let’s remember that while life may be complicated, stressful, and action-packed, it’s better to take life one day at a time. Thanks, Ryan, for your wise insights. I admire how your family treats each challenge one day at a time. I think of it as one would view a game of baseball: as each ball is pitched to you, you give it your all and hit it and then move on to the next pitch. Congrats. on your accomplishments!! What an insightful and honest article, Ryan! We are all so proud of you!